Karen Merrill is an historian of modern America, with general interests in the political history and political economy of the twentieth-century United States and with specific interests in the American West and environmental history. After receiving her B.A. in History from Oberlin College in 1986, she went on to receive her M.A. in English and Creative Writing from the University of Denver, and later her Ph.D. in History from the University of Michigan. Her book, Public Lands and Political Meaning: Ranchers, the Federal Government, and the Property between Them, won the Robert G. Athearn Award from the Western History Association in 2004. In 2007 she published The Oil Crisis of 1973-74: A Brief History with Documents and from 2007 to 2010 was Dean of the College at Williams. 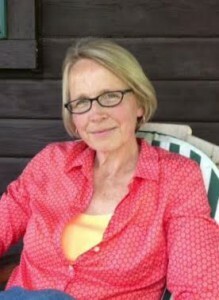 She has written and commented extensively on the history of public land and natural resource use in the United States; she is currently researching the work of environmentalist, Margaret “Mardy” Murie (1902-2003) and Murie’s network of wilderness preservationist colleagues from the 1950s through the 1980s.